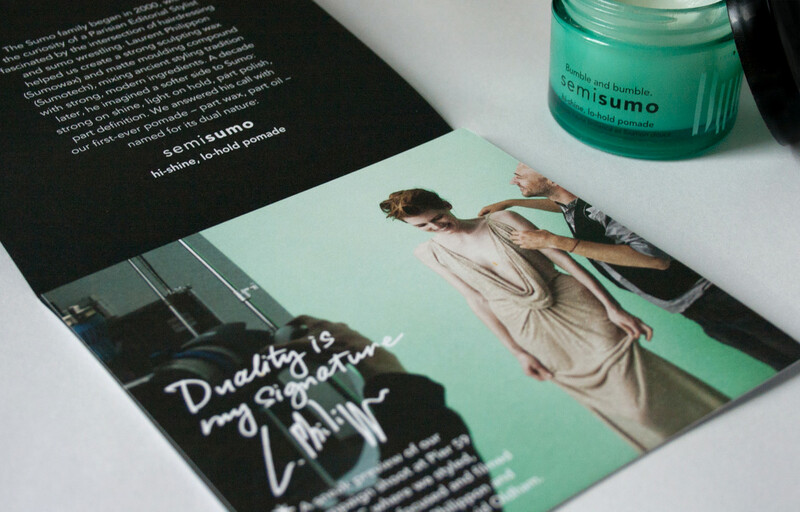 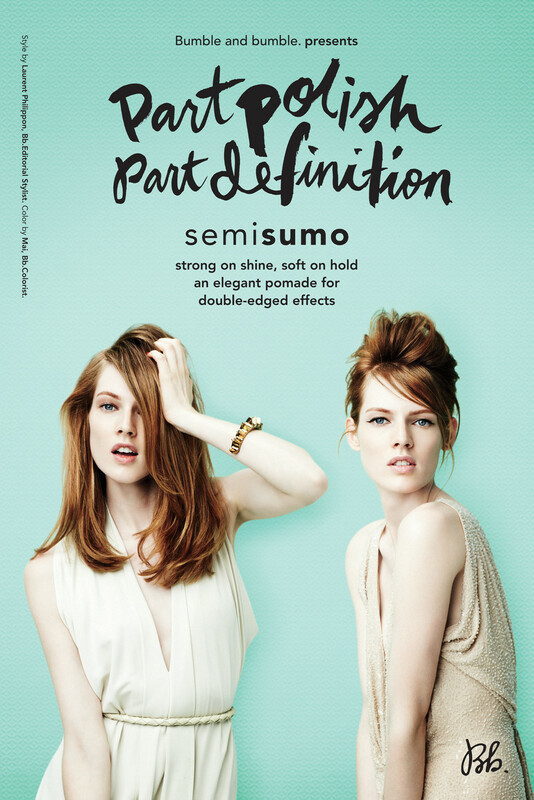 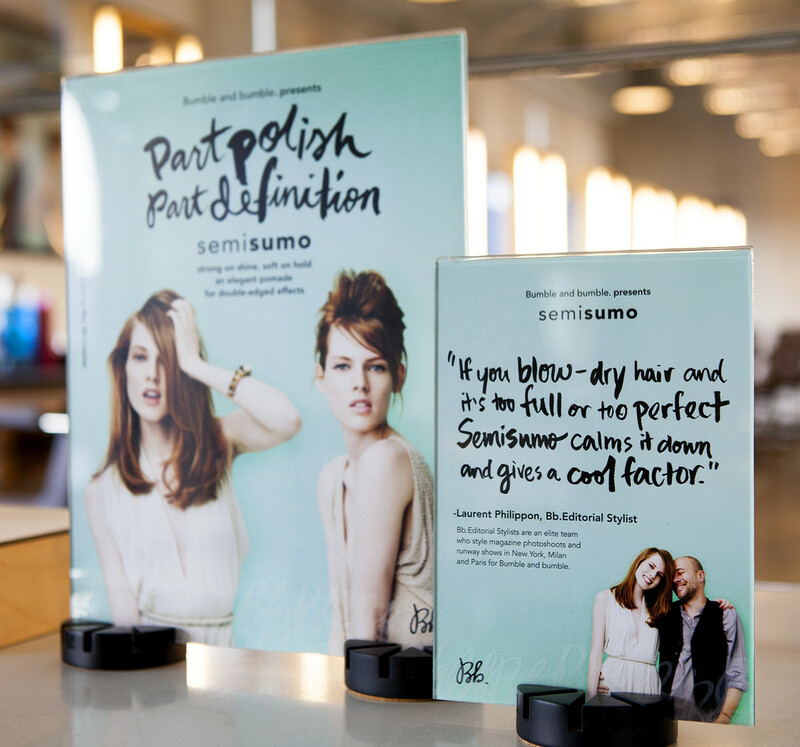 Semisumo, the latest addition to the Bumble and bumble Sumo family is an elegant pomade for double-edged effects. 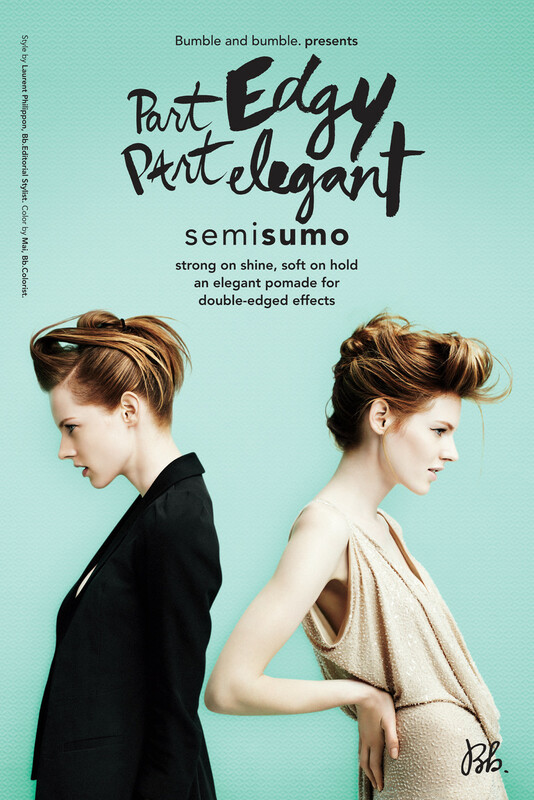 The campaign featured styles by Laurent Philippon, Bb.Editorial Stylist. 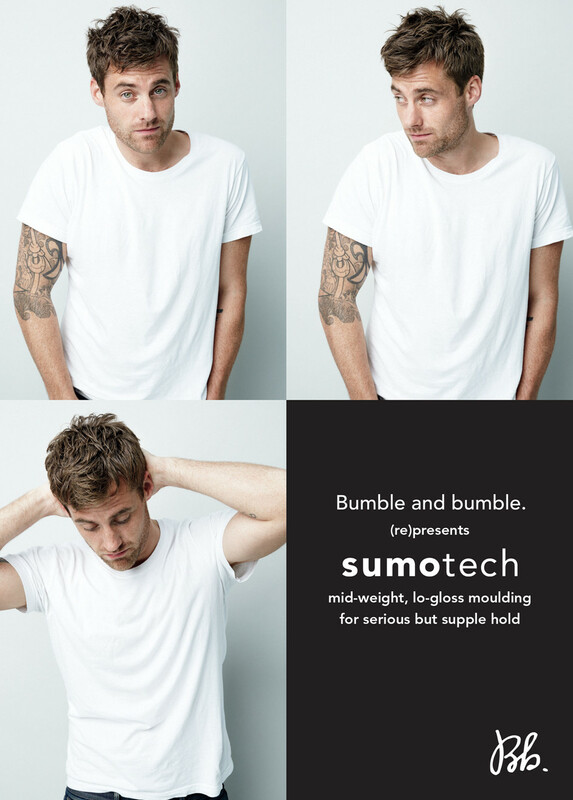 A launch kit was sent to Bumble and bumble network salons to introduce the latest member of the Sumo family and our French stylist, Laurent. 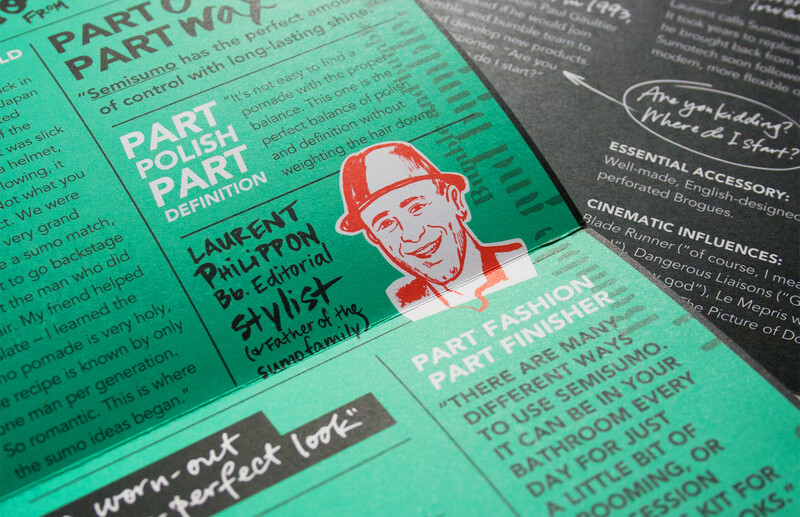 The product was nestled in a shredded Le Monde newspaper for that extra Frenchy touch. 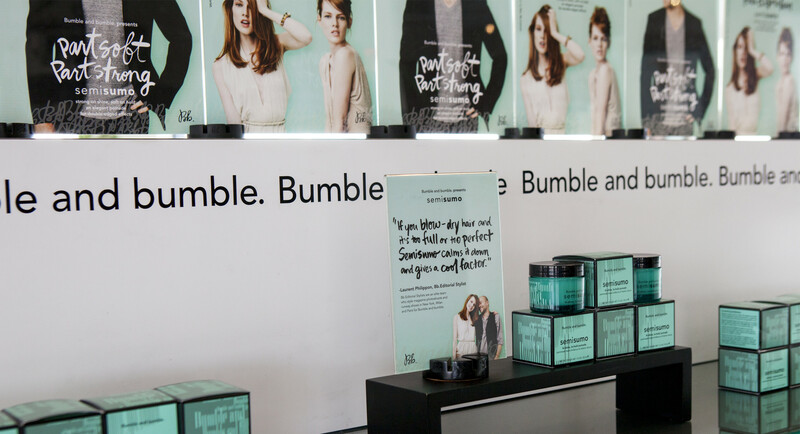 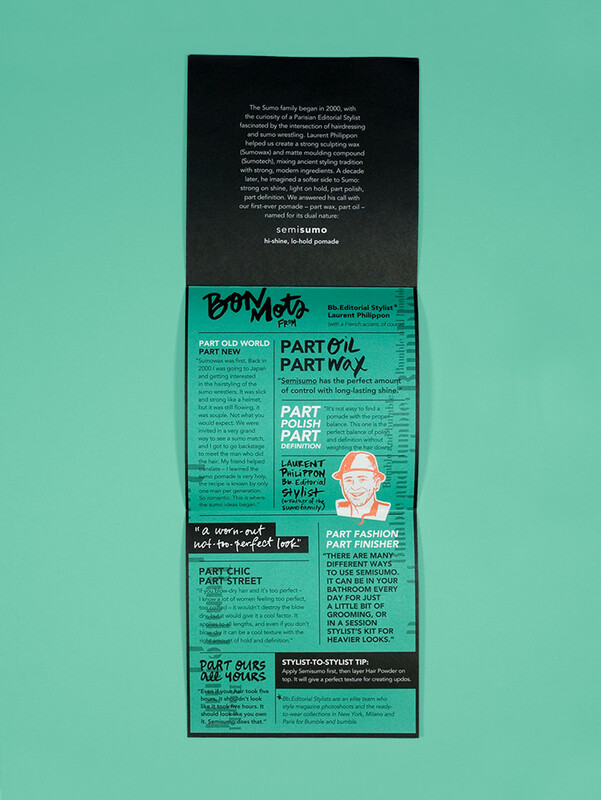 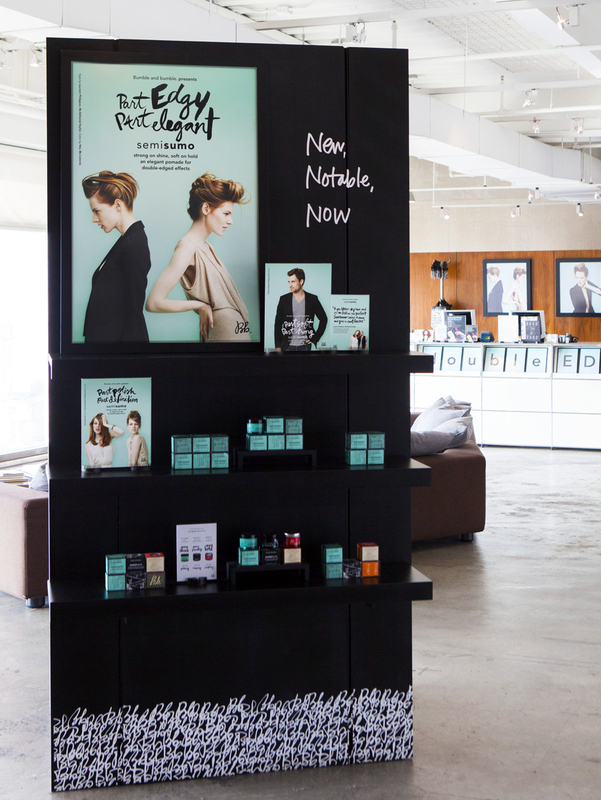 The campaign was featured in Bb.network salons and Sephora. 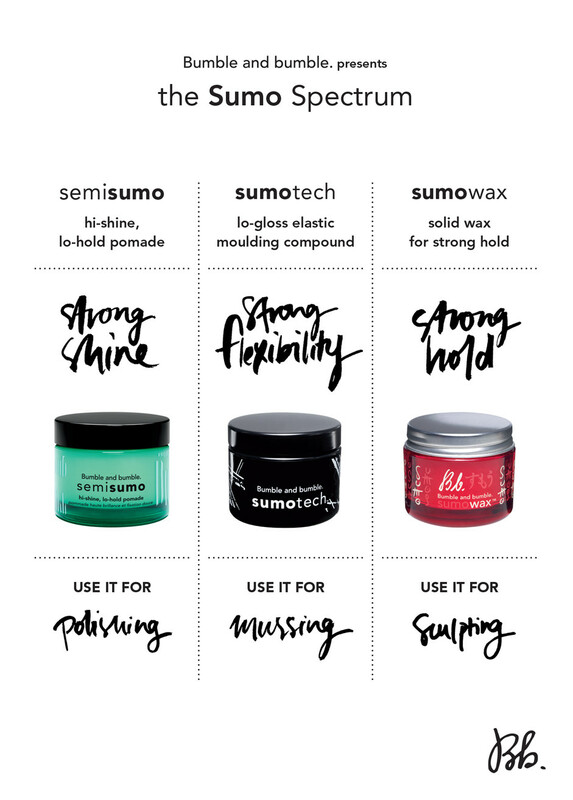 We also took the opportunity to reintroduce Sumotech and educate customers on the difference between the three Sumo products. 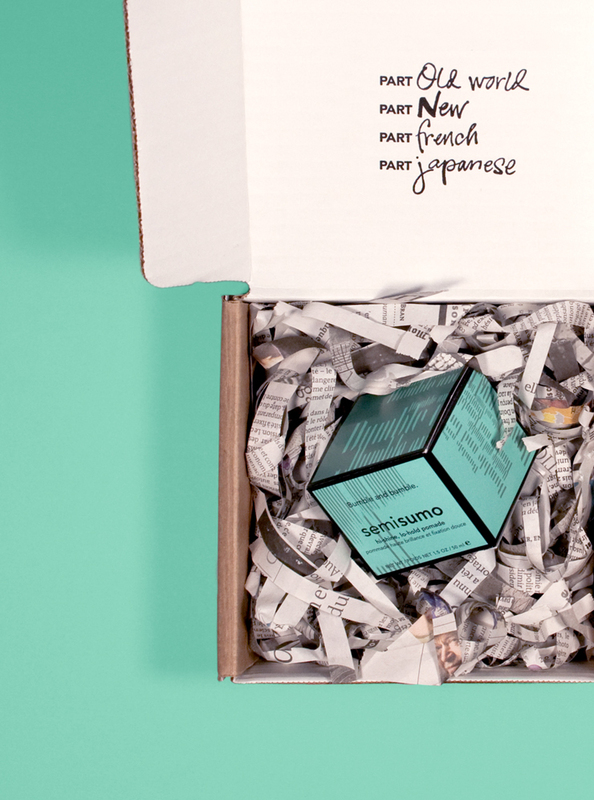 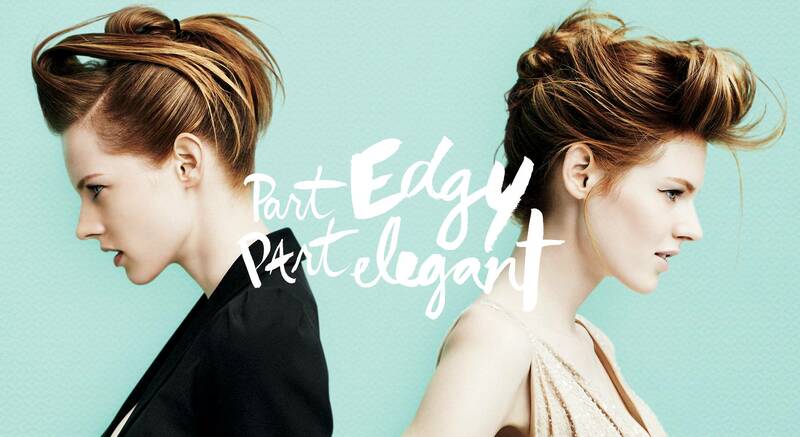 Designed for Bumble and bumble.